The “I Have A Dream” Ball is a Madison Tradition. And it’s much more. The annual event organized by Women In Focus is an important part of our community history. A committed group of local visionaries founded Women In Focus in 1983. A few years later, these dedicated volunteers launched the now-famous “I Have A Dream” scholarship ball. In the three decades since, Women In Focus has awarded almost one-half million dollars in scholarship money to local kids. 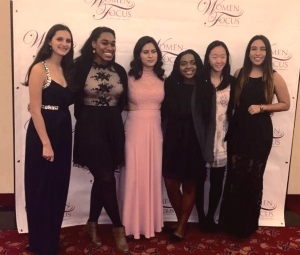 Women In Focus (WIF) provides, or has provided, direct financial support to more than 300 high school seniors and college students. Simply put, WIF makes college dreams possible. Talented young people get the crucial financial backing they need. Hundreds of students have paid for college using scholarship dollars provided by WIF. In the early days, the organization’s founders worked hard to build up and establish traditions like the annual ball. The “I Have Dream” event draws hundreds of area people together to celebrate the life and achievements of Dr. King. Each year at least one previous WIF scholarship student speaks to the audience. College dreams are celebrated and tangible financial support goes to current and future WIF scholarship students. The WIF commitment to local students continues to expand. Two special scholarships are awarded each year in honor of founding WIF members, Gloria Jones-Bey and Jan Studesville. The Miss Annie Mae Scholarship Fund provides important financial support for returning adult or non-traditional college students. WIF and SSFP have worked together on many projects. And SSFP students have attended the “I Have a Dream” ball every year since 1996. The event’s music and dance floor are always lively. It’s a very fun way to directly support a great cause. We also love the food.